Sergio Galindo of GFI Software. The rise of social media might provide an open platform for conversation, but it also means that businesses can have unfiltered insight into what their employees are doing during their workday. Usually, social networking sites are harmless for the business and provide employees with a quick break from the day-to-day drudgery of work. However, ill-advised posts about your employer can lead to unwanted consequences and even hinder your career. Such was the case with a former PayPal executive who fired off a bunch of nasty tweets about the people he worked with. That ill-considered tweeting promptly ending his tenure with the company. The story of his social media exploits went viral, although not all career-destroying moves are quite as high profile as that. These days, electronic communications and social media are playing a bigger role in bringing about termination of employment. As email, Facebook, Twitter, text messaging, etc. are so completely integrated into our lives, we get careless about how, where and when we use them. Not all activities that can end a career are committed online, though. • Bad-mouthing anybody at all. Making offensive comments about your co-workers can land you in serious trouble, but so can negative comments about others outside your organisation. Making offensive statements about your customers, vendors, or partner companies is a big no-no. Celebrities and politicians aren't fair game, either. Racial or gender/sexually-oriented comments are particularly dangerous. Even if your social networking profiles are not linked to your employer, potential future employers can find these with ease and it can severely impact your chances at employment if your social networking activities have been less than savoury. The safest tactic is to follow the advice of mothers everywhere and "if you don't have something nice to say, don't say anything." • Posting pictures of yourself in embarrassing situations. We live in a world where it's easy and fun to snap a photo and upload it to a social site. However, sometimes it's best to do your partying in private and keep the evidence to yourself. Posting pictures of having a glass of wine with dinner is unlikely to cause any issues, but posting pictures of your antics from a raucous night out might not go down so well, especially if the pictures originated from a night out during the working week. This can be even more of an issue if your company affiliation is prominently displayed in your profile. • Documenting illegal, unethical or unauthorised activities. Hopefully, you won't be committing crimes or engaging in any immoral behaviour, violating company policies or breaking industry-specific rules or regulations. If you do those things, don't post a written "confession" in an email or an instant message, or worst of all, on your Facebook page or Twitter feed. The story is getting downright old: even at the executive level, people can't seem to resist putting it in writing when they do things they know are wrong. • Lying. The old adage of "honesty is the best policy" is true in any work related activity. Whether it is completing a project or a task or applying for a new job. Therefore, you should never lie on your resume to get the job, lie to your boss about being sick when you want to take the day off, or lying to try to cover up your mistakes, once you've been caught in a lie on the job, your reputation will be irreparably damaged. Often it's not about the lie itself; it's about the trust that, once broken, is difficult or impossible to rebuild. As the saying goes "if you tell the truth, it becomes a part of your past. If you tell a lie, it becomes a part of your future." • Abusing your authority and misusing your ability. As an IT professional, you often have access to private personal information about the people you work with and sensitive business information about the company. You are probably technologically capable of logging the keystrokes of employees, capturing their screens, and logging their connections. You can take down a person's system or preventing particular people from accessing particular resources. One of the fastest ways to get in trouble at work is to misuse that "perk" of your position for your benefit or amusement. As with lying, it's about betrayal of trust. Whilst some of the points above will give you an idea of what not to do, but your company's priorities and philosophies should be clearly communicated to all employees either in an employee handbook or through documented social media guidelines. A company's size and culture can be factors in what is acceptable, but it is safe to say that no company of any size will be too happy if you broadcast company secrets or engage in otherwise unacceptable behaviour online. 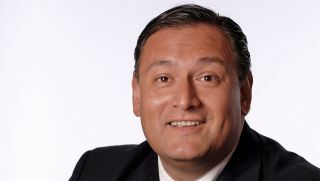 Sergio Galindo is general manager at GFI Software.